This is the very first step where you need to divide the hair into different sections. Start with taking a bunch of hair right at the crown area of the head and work from one part of the temple to another. Secure the hair with a clip in such a manner that it remains out of the way. Comb rest of the hair with the hair brush and create a center part. It will separate your remaining tresses into two segments. After parting your hair, focus on adding body to it. Take any one from those two loose segments of hair and apply some mousse to it. Comb through the styling mousse so that you get a smooth and polished look. Now, curl up the end portions of the hair present in that segment by using the curling iron. Make sure that you create curls only downwards keeping rest of the hair intact. Apply a little volumizing powder right at the hair roots. Use your fingertips to make it work and backcomb the straight portion of the hair for boosting its volume significantly. Now, it is time to roll the hair nicely. Let the curls be loose at their upper parts and start rolling the portions up to the center parting with the hair rollers. There is no particular rule regarding the shape of the rolled hair. You can come up with any shape or form as per your desire. 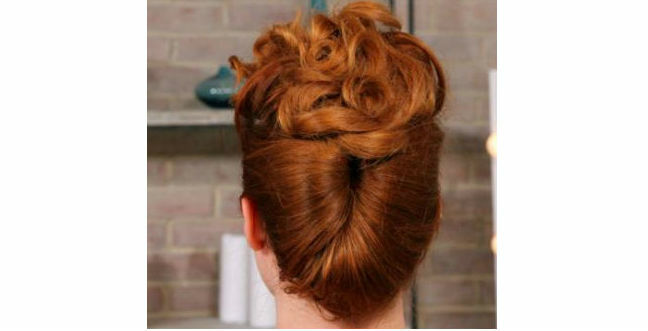 Once you are done with it, use bobby pins at the top to keep the roll at its place. Do the same for the second segment of hair too. Finally, secure both rolls of hair on the top with enough bobby pins. After that, concentrate on the hair that you separated at your crown area in the first step. Apply some styling mousse to it and run the hair brush through the mousse. As soon as the section gets prepared, turn them into tight ringlets by using the curling iron once again. In order to keep the ringlets smooth, backcomb the hair roots and apply a little hairspray. It is the last step of the process where you need to position the ringlets or curls properly. Hold them together and push to the fore of the head. There must be two loose segments of hair lying at the backside of the head. Gather locks present around the center part, place them forward, and form a semi-circle by using bobby pins. Also, secure those two left sections of hair above the rolls in such a manner that no bumps or irregularities are seen. 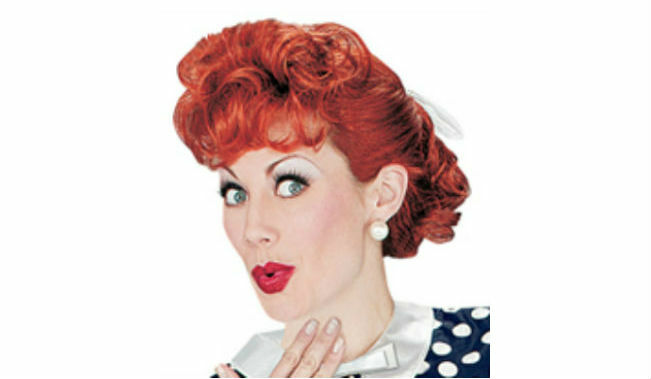 At last, spritz some hair spray and you are done with your cute poodle hair style.